Nothing beats a classic birthday cake, but it never hurts to up the ante with a cake thats more than just chocolate or vanilla. 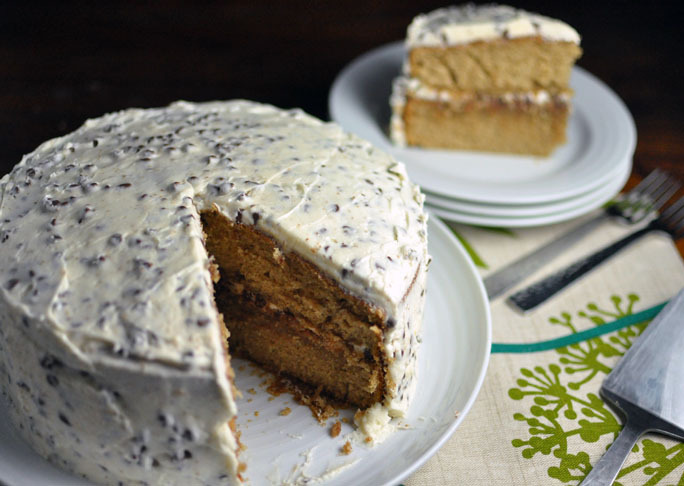 Give the crowd something to drool over with this Milk Chocolate Cake recipe topped with our Chocolate Chip Buttercream Icing. The mild chocolate taste is sophisticated but not at all cloying or heavy and will please both the chocolate and vanilla lovers in your family. Step 1: Place rack in the center of the oven and preheat oven to 350 degrees. Grease and flour two 9-inch round cake plans and line the bottoms with wax paper. Step 2: In a large bowl sift together flour, baking powder and salt. 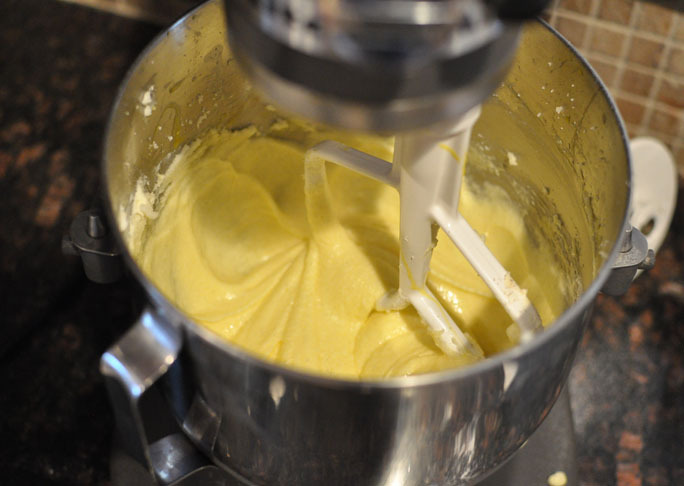 Step 3: In standing mixer on high speed cream together butter and sugar until light and fluffy, about 2-3 minutes. Step 4: Beat in eggs one at a time, stopping the machine to scrape down the sides of the bowl periodically. Step 5: Beat in melted chocolate and mix well. Step 6: Turn mixer on low and add in dry ingredients in thirds, alternating with the evaporated milk and water. Beat well after each addition. 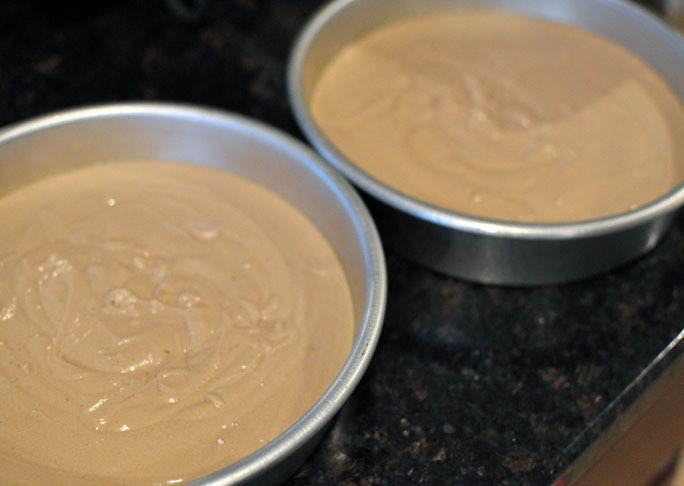 Step 7: Pour batter into prepared cake pans. Step 8: Bake for 30 minutes or until a toothpick inserted into the center of each cake comes out clean. Step 9: Remove from oven and allow cakes to cool completely on a wire rack while you make the icing. 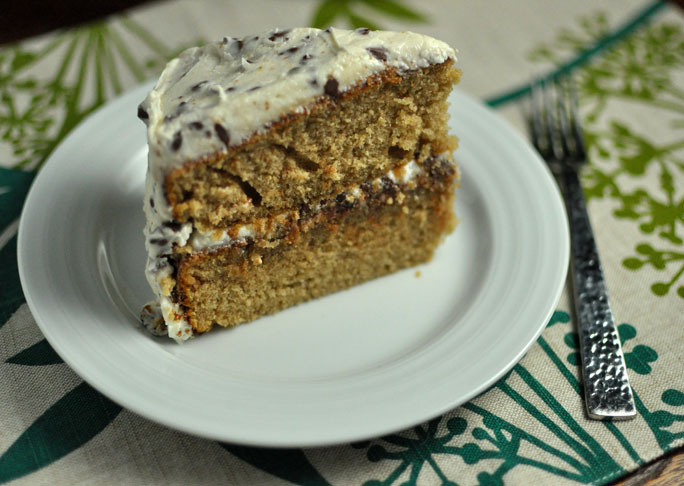 Get the chocolate chip buttercream icing recipe here.